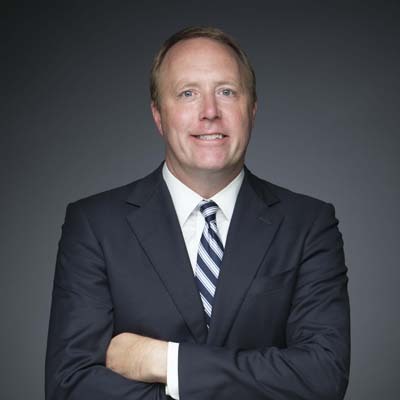 Scott Johnson is a serial entrepreneur and since 2008 has served as CEO and Managing Partner of Wheelhouse Ventures, a Dallas, Texas based private investment firm focused on distressed and underperforming lower middle market companies and diversified businesses as well as real estate. He most recently served as President and CEO of one of Wheelhouse’s portfolio companies – insulation manufacturer Amerrock Products. Previously Johnson served as Vice President of Acquisitions and Development for TRT Holdings and Omni Hotels responsible for sourcing, negotiating and closing all worldwide real estate investments for TRT and growing the Omni brand throughout the United States and internationally. During his tenure at Omni, Johnson was responsible for more than $500,000,000 in real estate acquisition and development including the acquisition of the famed La Mansion Hotel and Watermark Hotel in San Antonio, the development of the Omni San Diego Hotel and Condominiums, and the development of the $210 million Omni Fort Worth Hotel and Condominium which now serves as a model for public/private development throughout the country. Scott Johnson currently serves on the City Council in Frisco, Texas (Pop. 155,000) having been elected city-wide in 2008 and re-elected in 2011 and 2014. Johnson has also been on the front lines of Texas’ job growth as he served as an officer on the Board of Directors for the Texas Economic Development Corporation (TexasOne) having been appointed by Governor Rick Perry in 2006 and having served until 2015. Johnson has led missions on behalf of the Governor to Georgia, New York, and California meeting with CEO’s and site selectors and recruiting corporations to Texas. His efforts have contributed to the longest sustained period of job growth in Texas history. Johnson was named to the Dallas Business Journal’s “40 under 40” in both 2005 and 2010, and the Collin County Business Press “40 under 40” in 2012 recognizing him as one of the top 40 business professionals under the age of 40 in the area. Additionally, Johnson serves on the boards of numerous private companies and charitable foundations including the Collin College Foundation (as an officer of the Board) and until recently, the Samaritan Inn. Scott Johnson is a 4-time IRONMAN triathlon finisher and is the first person known to have completed the IRONMAN World Championships in Hawaii with an artificial lumbar disc. His inspiring story of struggle and determination following four back surgeries caused NBC to profile Johnson during its yearly IRONMAN broadcast in 2010. Johnson is an involved dad, coaching many of his kids in sports, including the U7 WeeWarriors soccer team and the U7 Army football team. He is a product of the Richardson ISD and is a graduate of Auburn University. Scott is proud of his Christian faith and deeply held beliefs and is an active member of Prestonwood Baptist Church where he has been a member for more than 25 years. He has been married to Julia for 13 years, with whom he has four children – Finley (10), Palmer (7), Creed (6), and Breck (3).